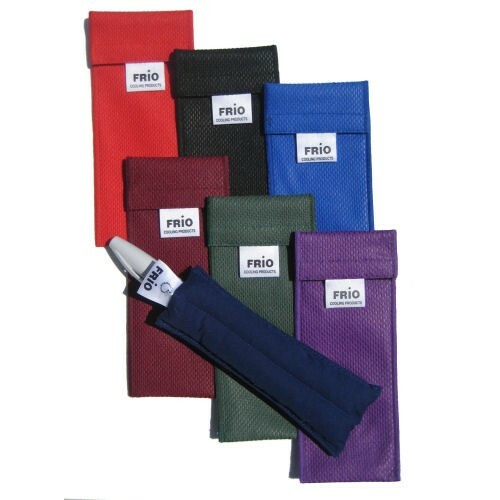 The FRIO Insulin Cooling Case is a reusable evaporative cooler whose cooling properties do not come from an icepack - or anything that needs refrigeration. Its cooling properties come from the evaporation of water. When activated, it keeps its low temperature for a minimum of two days, even in temperatures of 100 degrees Fahrenheit. Refrigeration NOT needed - simply activates with cold water! FRIO®s have considerable insulation properties, helping to protect insulin from freezing at cold temperatures. Perfect for travel - TSA friendly!